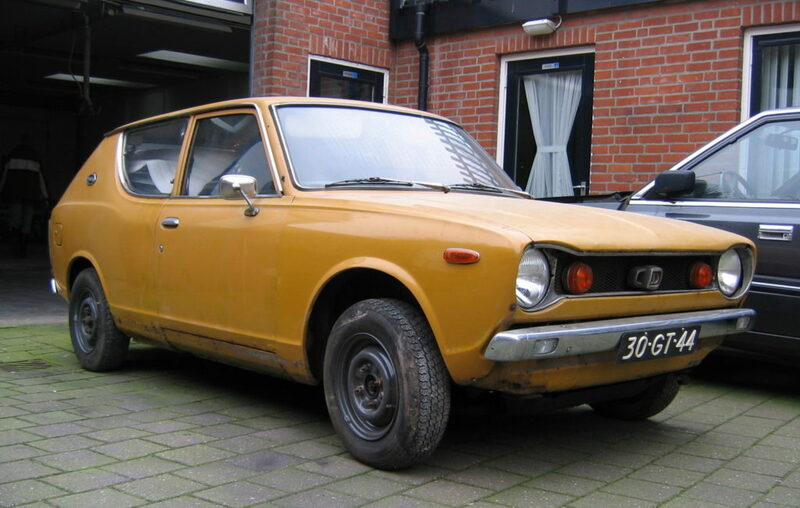 My interest in these small Datsuns was started when I found my E10 100A Wagon in 1992. My attention was drawn to this car because it's the unusual stationwagon version. The car looked bad and when I found a big hole in the inner wing when the outer wing was taken (i.e. fell) off, I lost interest in it for a while. With some welding and painting the car was back on the road in 1995. I used it as my daily driver for 4 years in which time it gave me 50.000 trouble free and much enjoyed km's. 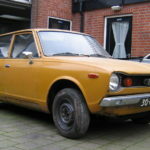 Because most Dutch E10s have a front anti roll bar and wagons have firm leaf springs at the back, the road holding of this car is very good, very cart like. In all those years I've owned the car I have collected many parts to be able to give it it's much deserved total restoration. I would love to find a new inner and outer rear valance to make the car perfect again. 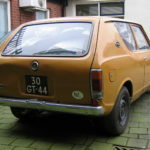 Even though I've had many comments about the cars ochre yellow colour (actually nr. 931 was called Gold by Nissan) it will definitely stay this colour. I think it suits the car, I've grown fond of it and most importantly it's the original one!